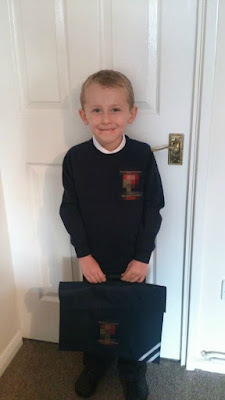 It only seems like yesterday that I headed through the school gates with James for his first day at school with the nerves whirling in my stomach and the grin on James face so wide he couldn't contain his excitement! However yesterday James moved into Year 1! Due to James' school rolling out a new plan where existing pupils move into their new year groups 1 month early James moved from his reception class into his new year 1 class on Wednesday. I was a little undecided how I felt about it at first but seeing the excitement on James face sold it for me, he couldn't wait to explore his new class room and meet his new teacher. 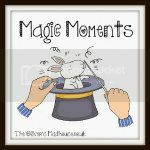 I am hoping that this early move will mean he will have chance to get used to the change and avoid any unnecessary worry over the summer holidays about the change. Of course Tuesday was a bit of an emotional day saying goodbye to his reception class teacher who has taught him so much and both myself and James had formed a bond with over the past year. 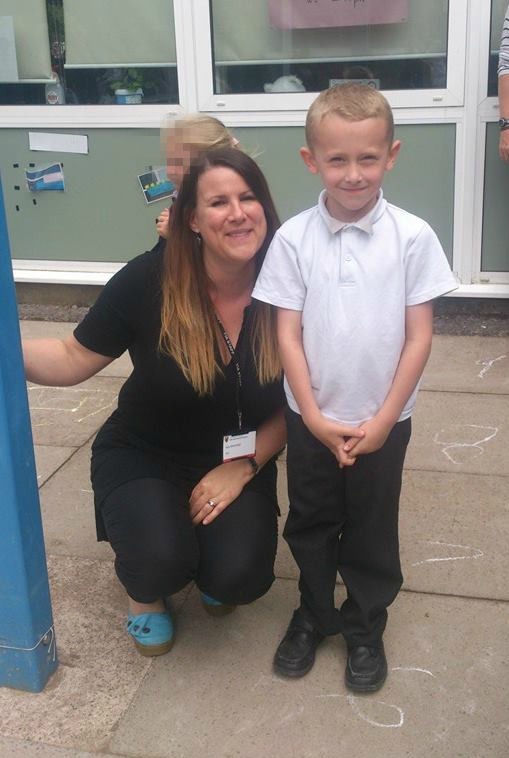 James took in leaving gifts and had a photo with his teacher which he now has on his wall and we both said goodbye. I still can't believe its been a year since he started school but he has learnt so much in that time, not just on the education side but he has grown so much as a person! James is so much more confident now and has a much better understanding of rules and boundaries that school has really helped him with. James started school last September not being able to read and after almost a year at school sat down with me yesterday and read The Gruffalo to be unaided! I really cannot thank the teachers enough for all the time and effort they have put in to giving James the best start to school. So as we wave goodbye to the past year and James reception class we are saying hello to a new class, a new teacher and a new school year ahead of us. James is excited to learn and loves being in school which can only be a good thing and we can only hope the next year will be as successful as the last!